Cummins Onan 5.5 HGJ-AB/ 901 RV Gasoline Generator Set RV QG 5500 is the quietest in its class because of its enclosed muffler and exceptionally low vibration levels (sound level is 68 dB(A) and 10 ft). 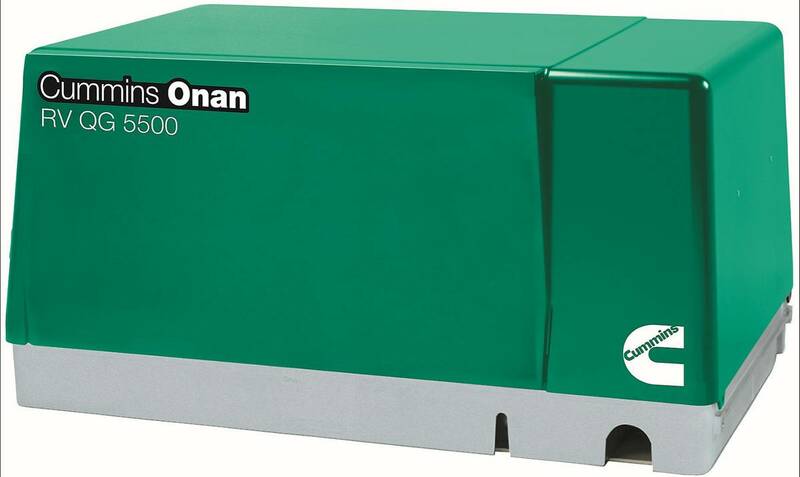 The Cummins Onan 5.5 HGJ-AB/ 901 RV QG 5500 has an output of 5500 wats and a voltage of 120. with an RPM of 2400. Runs two air conditioners with power to spare and has digital voltage regulation for stability as appliance loads change which means your generator is safe for anything you need it to do. Also, the QG 5500 has self-diagnostic capability so you don’t have to worry about troubleshooting. The Cummins Onan 5.5 RV QG 5500 generator comes with a 3-year limited warranty and a lifetime drive warranty so you can be rest assured you’re investing in a safe generator. Check out the entire line of Onan RV gasoline generators available at Colorado Standby!